This year my team, Team Grodsky, plans to add another leg to our journey- beginning our ride a day early from Hudson, NY and joining the official start of the PMC in Sturbridge, MA on August 1st. 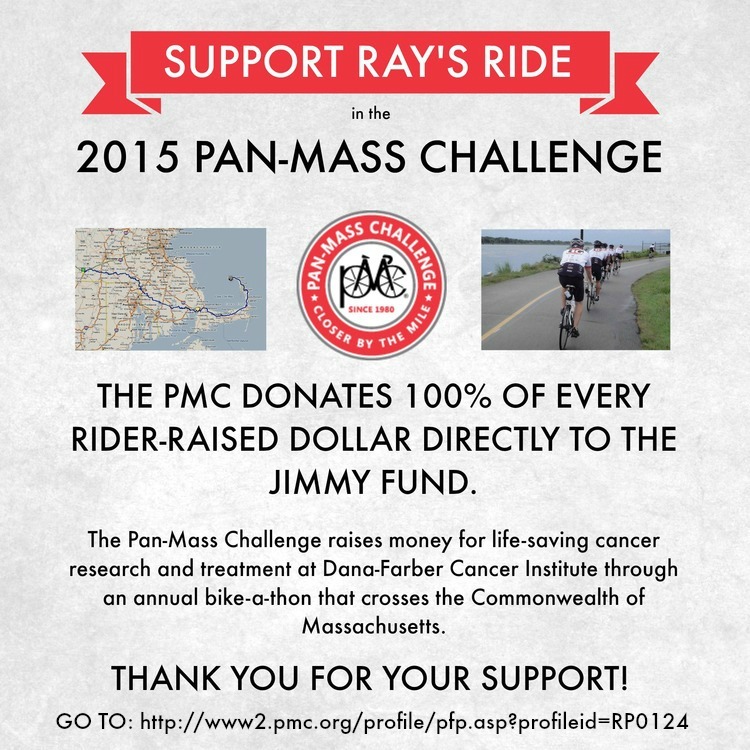 2014 was a huge year for the Pan-Mass Challenge (PMC), with a record-breaking $41,000,000 raised for Dana-Farber Cancer Institute and the Jimmy Fund. Since 1980, the Pan-Mass Challenge has raised more than $455 million in support of lifesaving cancer research and care.